Core Aeration - Your Soil Needs to Breathe Too! ​A little known fact about your everyday lawn maintenance is that your lawn needs more to look healthy, and green other than just fertilizer, and the occasional mowing. 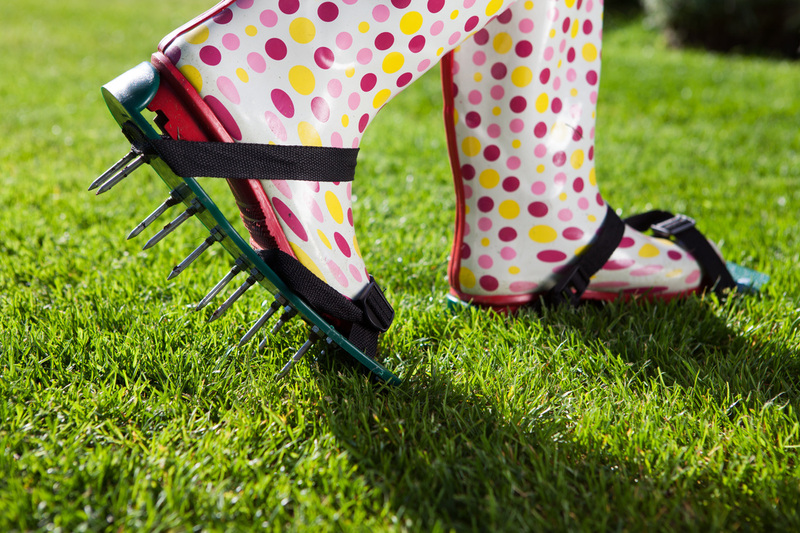 Your lawn also needs to breathe which is guaranteed by getting our lawn aeration service occasionally to combat things such as soil compaction. 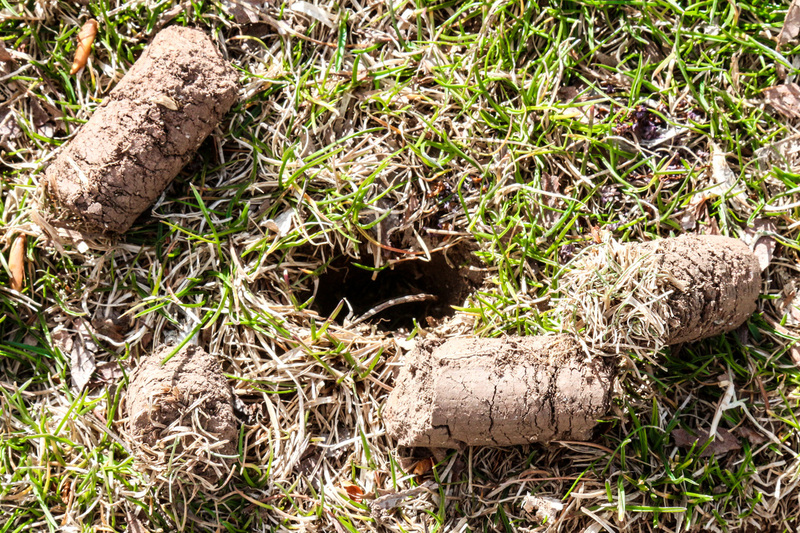 The thought of your soil breathing can seem fairly odd, but the reality of it is as a part of your yearly lawn maintenance your lawn needs to be checked for aeration. If your soil is compact, it cannot get all of the nutrients among other things that it needs to help your grass grow here in Auburn. To check for yourself if you need lawn aerator service in your lawn, you can grab a shovel, and see how difficult it is to dig it into your lawn. If it is too difficult to push the shovel through into the soil, then it may just be the time to call us about our lawn aeration service. ​If you get regular lawn maintenance from our lawn care business our lawn care specialist will be more than happy to check for you on one of our visits. ​Core Aeration is a process of digging very precise holes in your lawn with a specified piece of machinery our lawn care business has at the ready. The perfect time of year to do this can be dependent entirely on what kind of grass you have in your lawn which can be better specified by our lawn care specialist. The best time of year for our lawn aeration service is typically before the peak growth season of the kind of grass you have in your front lawn. That way the holes put in by our lawn care specialist will be filled in naturally by your yard in no time at all by its natural growth. Having Auburn Lawn Care & Landscaping perform our lawn aeration service ensure that all of the lawn care services provided by us operate at their maximum efficiency. Our lawn aeration service should be performed once a year, and will ensure that our lawn fertilizer service gives you the desired effect that it otherwise would not. Not only will the roots in your lawn become nice and strong again due to our lawn aeration service, but your lawn will also be able to absorb the season temperatures much better as well. You can rent the equipment necessary to perform the lawn aeration service on your lawn yourself, but it is very often done improperly, and the equipment can be very cumbersome. Don’t waste the money on rental just to be unsure if you did it correctly call a professional lawn care specialist that has the knowledge, experience, and equipment already on hand.